Popular American streaming TV and movie service Netflix has launched in the UK and Ireland just days after Playstation 3 owners were greeted with a not yet operational application on their gaming consoles. Customers in the UK can pay £5.99 a month (slightly more expensive then the $7.99 fee in the United States) while receive no-limit film and TV programming. Along with the launch the company has released their programming options for various devices including Apple and Android mobile phones and tablets, Mac and Windows computers and various gaming consoles including Wii and Xbox 360. 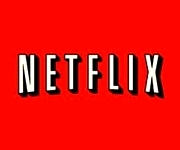 Netflix can also be access on various Blu-ray players and smart TVs. Customers interested in trying the service will receive a one-month free trial while customers in Ireland will then be required to pay a slightly higher €6.99 per month. Among the networks included offerings are TV shows and movies available courtesy of All3Media, the BBC, CBS, Channel 4’s 4oD, Disney UK & Ireland, ITV, Lionsgate UK, MGM, Miramax, Momentum Pictures, NBC Universal, Paramount, Sony Pictures Entertainment, Twentieth Century Fox and Viacom International Media Networks. Some movies and shows are also offered in high definition along with Dolby Digital Plus 5.1.